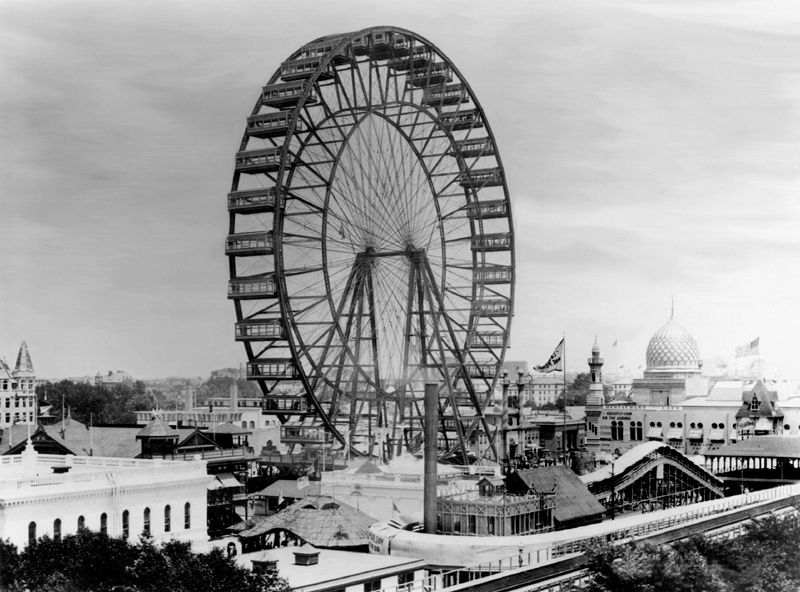 Held in Chicago in 1893, the World’s Columbian Exposition played host to 27 million visitors. It’s notable for a few big things – it served as the ground for a bidding war between General Electric (who proposed the Fair be powered by Direct Current) and Westinghouse (who proposed Alternate Current), it was the first fair to have national pavilions (Haiti elected Frederick Douglass to be its delegate! ), and it was the first Fair to have a separate area strictly for amusement. In addition to the original Ferris Wheel, the first commercial movie theater was created on the grounds. Eadweard Muybridge gave lectures on animal movement using his zoopraxiscope, in the Zoopraxographal Hall to a paying public, making it the first time people had paid to see a motion picture. Take that, Oscars! Oh also, Alternate Current won. But that’s a subject for another post.